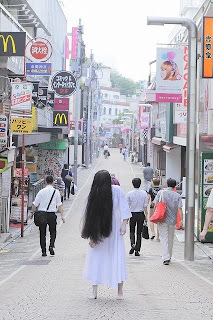 Horror fans who can't get enough of Sadako can get to see how she spends her day off in a special photobook 'Sadako's Holiday'. 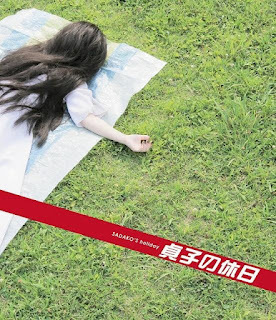 The 32-page spread only comes in the Sadako's Cursed Box version, limited to 4444 sets. This set contains the movie in 3D and 2D in Blu-Ray, 2D in DVD and includes making-of footage, a movie version music video of the theme song 'S' by SID and other extras. The Cursed Box set costs 6720 yen (US$86) and goes on sale 31st October. 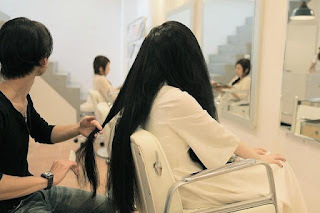 A Blu-ray 3D version with extras DVD cost 4935 yen (US$63) and the DVD version in both 3D and 2D retails at 3990 yen (US$51) . hahaha.. nice one Sadako-chan! you now have your own photobook! omedetou~! 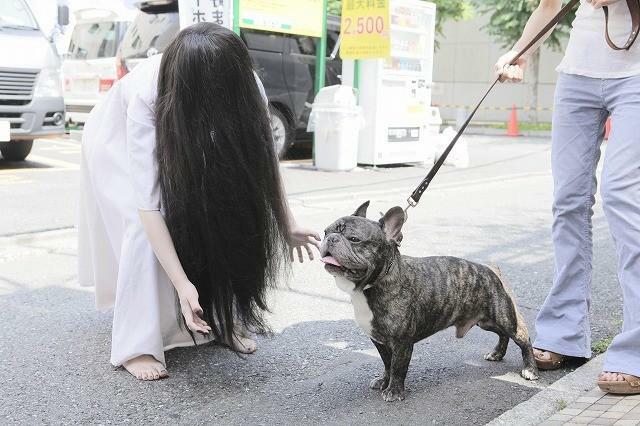 This is just hilarious! 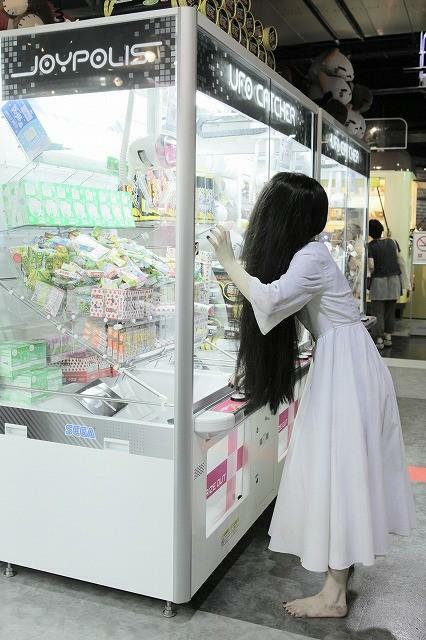 I imagine people in line to buy ice-cream... they turn around and there's sadako waiting for her turn... ROTFL.